The Interagency Autism Coordinating Committee (IACC) wants your input to help identify priority topics for inclusion in the 2016 IACC Strategic Plan for ASD. The new plan will cover research, services and policy issues related to the 7 Questions covered in the IACC Strategic Plan. Click here to submit your comments. The comment period will be open from June 15, 2016 – July 29, 2016. Feel free to share this opportunity with others. 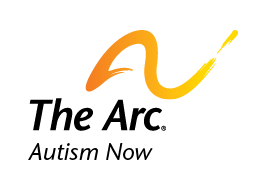 The IACC looks forward to hearing from individuals on the autism spectrum, family members, providers, researchers, advocates, and other members of the autism community. Date posted: June 22, 2016. Content created by The Autism NOW Center. Last updated: March 21, 2018. I am the Director of a fully inclusive early intervention preschool program, that has been in existence since 1997. In our school population we have about 15 to 20% children with special needs. Many of these children are on the Autism Spectrum. I believe that this is the optimum situation for a young child with ASD, under certain conditions. The ;most important of these is the extra training for the teachers. Most Preschool teachers need 12 to 24 units of Child Development Classes and that is great but it doesnt prepare them for a child on the spectrum who is in the middle of a meltdown or is overwhelmed by the stimulation of a classroom full of typical peers. After teaching college for 23 years I believe that the critical thing is the extra training of the staff and a low teacher child ratio. . They need to have an indepth understanding of the special characteristics (and the range) of children on the spectrum so that they can help them profit from the enriched environment available in a really good early childhood classroom/ But the teachers need training on ASD itself, sensory issues, language and communication issues, behavior management strategies, social skills and interaction training, ABA or PRT and stimulation level of the environment to make the classroom usable to the child. If successfully done the child can learn appropriate behavior from the activities of the classroom and really be prepared to be in the least restrictive environment when they get to public school. Check out one model. http://www.covinadevelopmentcenter.org. ← Are You Engaged in Advocacy?